The convent of the Descalzas Reales ('Royal Barefoot Nuns') is the most complete 16th-century building in Madrid and still houses a cloistered community. It was originally built as a palace for Alonso Gutiérrez, treasurer of Charles V, but was converted into a convent in 1556-64 by Antonio Sillero and Juan Bautista de Toledo after Philip II's widowed sister Joanna of Austria decided to become a nun. Founded with royal patronage, the Descalzas became the preferred destination of the many widows, younger daughters and other women of the royal family and high aristocracy of Spain who entered religious orders. Hence it also acquired an extraordinary collection of works of art - paintings, sculptures, tapestries and objets d'art - given as bequests by the novices' families. Equally lavish is the baroque decoration of the building itself, belying its sternly austere façade, with a grand painted staircase, frescoed ceilings and 32 chapels, only some of which can be visited. The largest non-Spanish contingents in its art collection are Italian, with Titian, Bernardino Luini, Angelo Nardi and Sebastiano del Piombo, and Flemish, with Breughel (an Adoration of the Magi), Joos Van Cleve and Rubens. The Descalzas is also an exceptional showcase of Spanish baroque religious art, with works by Gaspar Becerra, Zurbarán, Claudio Coello and even a tiny painting attributed to Goya. In addition, as you walk around you can catch glimpses of the nuns' courtyard vegetable garden, which has remained virtually unchanged since the convent was built, and is closed to the public. 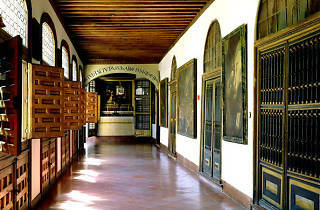 The monastery was seen by very few until the 1980s, when it was restored and partially opened as a museum. It can be visited only with official tours, which leave every 20 minutes and last around 50 minutes. 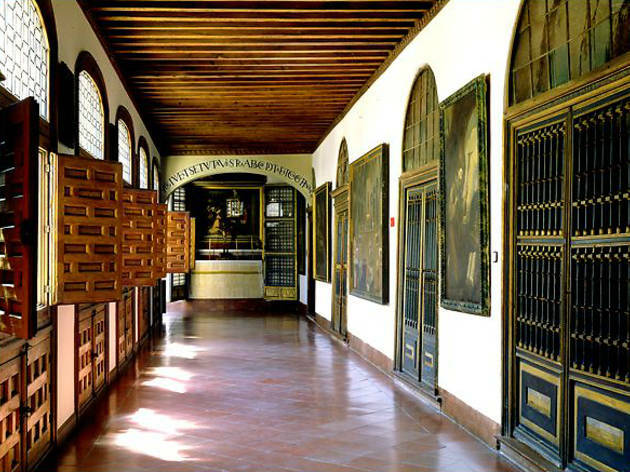 Frustratingly, the guides rarely speak English, there is no printed information about the convent, and the paintings are not labelled. It is still an enjoyable place to visit, though, for the sheer sumptuousness of its artworks and fittings.